Nearly all of our most majestic architecture reflects pinnacles of achievement for our species, and one architect aims to call attention to yet another way in which we are ‘spectacular:’ our unmatched ability to produce incredible amounts of waste. 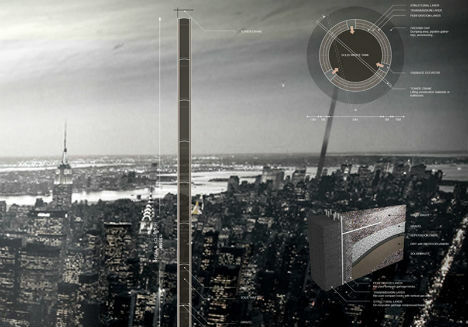 ‘Monument to Civilization‘ is a vertical landfill tower that offers both a serious solution for urban waste management and a commentary on our unsustainable habits. 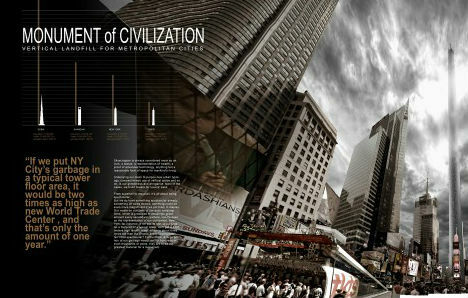 The third place winner in eVolo’s 2012 Skyscraper Competition, ‘Monument to Civilization’ is not just a sobering daily reminder of how wasteful we can be, and the pressing need for new solutions. 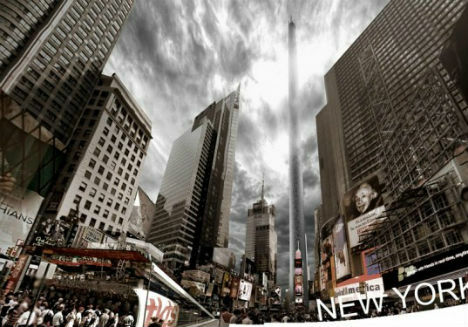 It’s also a power plant, harvesting methane gas from all that rotting trash and using it to help keep the city running. 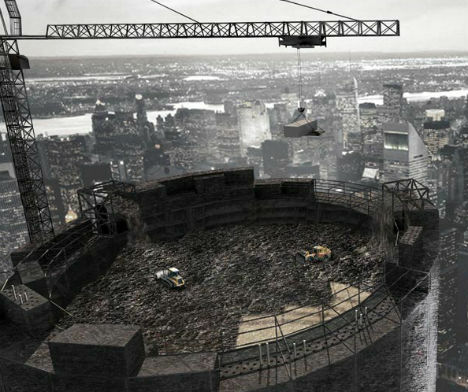 Lin Yu-Ta envisions a narrow tower reaching high into the sky. 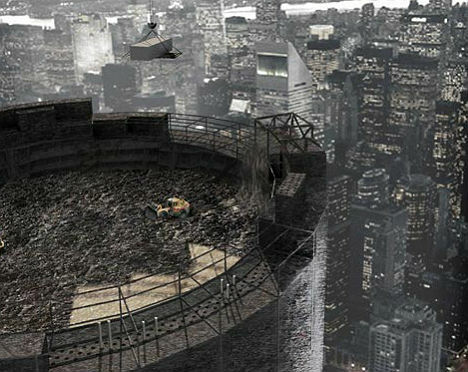 Noting that we often “build towers for towers’ sake,” the Taiwanese designer puts some meaning behind the spectacle: the 1,318-meter (4,324-foot) height of this tower proposal represents the space that would be needed to store just a single year worth of trash from New York City alone.